Success isn’t developed in a bubble. Oprah Winfrey credited Maya Angelou for helping her develop as a TV personality and a human being. “She was there for me always, guiding me through some of the most important years of my life. The world knows her as a poet but at the heart of her, she was a teacher,” Winfrey wrote in a touching Instagram post after the famed poet’s passing in 2014. Facebook CEO Mark Zuckerberg sought advice from Apple’s then-CEO Steve Jobs during Facebook’s early stages, and late CBS anchor Walter Cronkite publicly thanked a high school journalism teacher for inspiring his path. I’ve had several mentors during my lifetime; some for guidance and others that helped with networking and career development. As I honed my skills as a financial educator and entrepreneur, I began mentoring others – at first as one to many through my books and now I work with individuals through my Master Mentor program. There are countless benefits to the mentor-mentee relationship, a few of which are outlined below. Because they have personal or professional experience beyond yours, a mentor can provide perspective on a situation that you would otherwise not see. The advice of a mentor is often sought at “decision points,” such as when you are offered a promotion that you’re unsure about, or comparing two possible career paths. A strong, positive mentor should offer perspective based on their experience and knowledge without pushing you towards one solution. Success must be earned through hard work and dedication. Fortunately, that doesn’t preclude the idea of networking through your mentor. Mentors can potentially help connect you to movers and shakers in your industry. Some have insider tips on job opportunities or professional organizations worth joining. They are often well-connected within their respective job fields, so it’s wise to select a mentor whose interests and skills align with your own. Remember, you’ll still have to do the hard work yourself once you make a connection. Mentors can assist with future planning and goals; for example, helping you outline steps to start a small business. He or she won’t make decisions for you. Rather, they will assist with research and planning of the goals that you wish to achieve. Mentors can also talk you through the possibilities and likelihoods of different potential paths, so that you can make informed decisions. Mentors can be found in the community or in your professional network, as well as through formal programs like Master Mentor. There’s no “right” age for mentoring – these relationships can be beneficial at any age, and are ideal when changing careers or pursuing a passion. 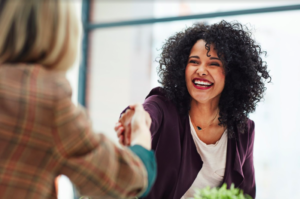 By participating in a mentorship program, or cultivating relationships within your professional circle, you can develop the skills and confidence needed to succeed.